Finding yourself in a new and strange part of Nova Prospekt, you have no other choice but to starve to death or try to escape. It will require thinking as well as fighting. Overlook nothing, or your fate will be taken out of your hands – good luck. Open the console and type map NP_Utility_01_V2 and now press ENTER. Well, this was a nice surprise. Bastion had recently joined the site and mentioned in his Introduce Yourself post a map he had made. I asked if it was SP and luckily for us, it was and this is it. 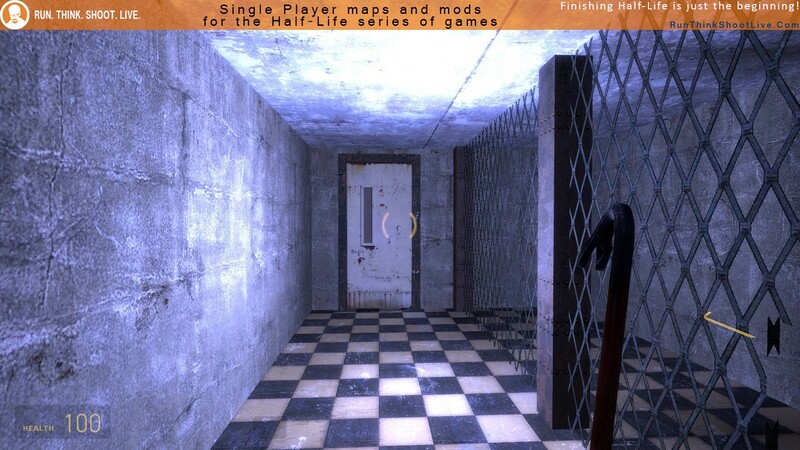 Overall, I enjoyed the experience but as with a lot of SP maps, especially the shorter/smaller ones, many of the room/area joins seems disconnected. It can be hard to fit new areas together with no obvious story and setting behind them. I felt that there were too many “stacking boxes to move on” sections, but I’m pretty sure I did things in the wrong order at least once. I’m unclear why the sniper only shot the Combine, but grateful nonetheless. The Combine Gunship caused me a few issues and the final section seemed a little “forced”. However, I did enjoy playing it and feel you probably will too. 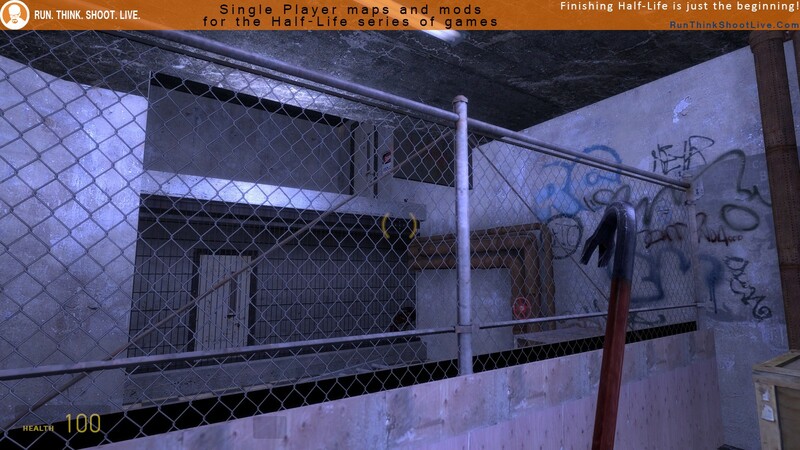 I’m glad you enjoyed what I had placed in this map, being the first proper attempt in HL2 mapping for me, I felt quite pleased with the end result, despite a bit of confusion I had myself. 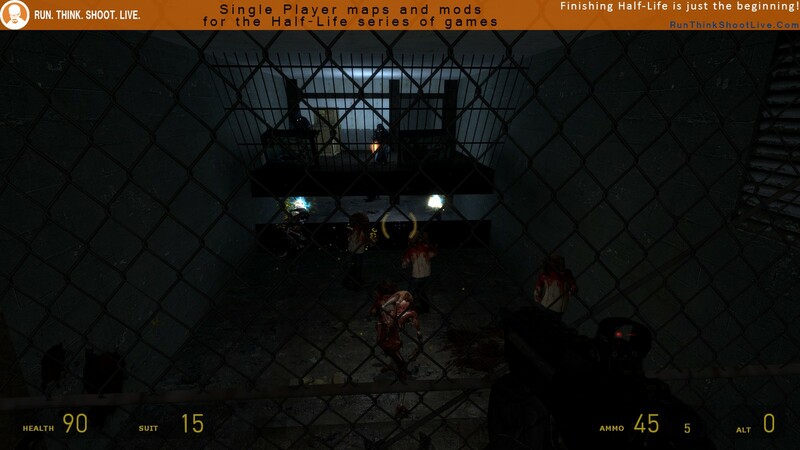 I may as well explain myself with the sniper, I had originally intended this to be a collection of levels inside a mod, although things in the end happened to come along and stop me in my track, as a result, I did not make the other level explaining it; however if you want to know it is a rebel inside Nova prospekt giving you assistance. Still got to get a grip on proper pacing when it comes to single Player but I’m getting there, I will make sure to keep your feedback in mind as I work on my VerticleVille Two submission. I have a few pointers to make about this map. 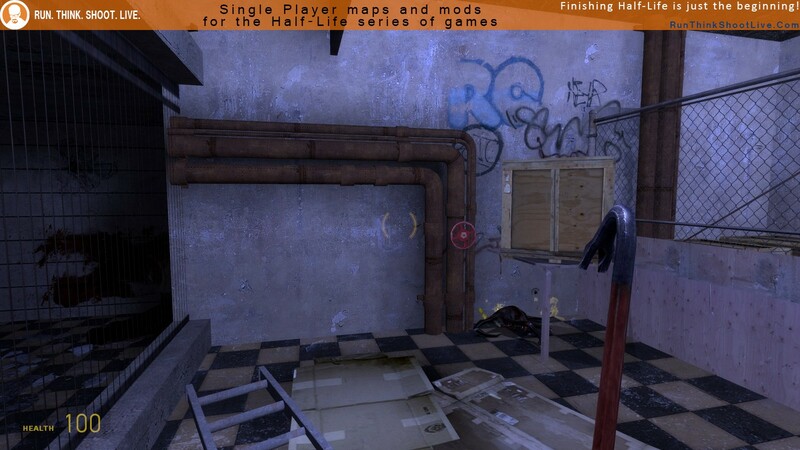 – When the player has to stack stuff to advance in the map, please give the player some non-breakable things to stack. Otherwise the player might get stuck, like I did. 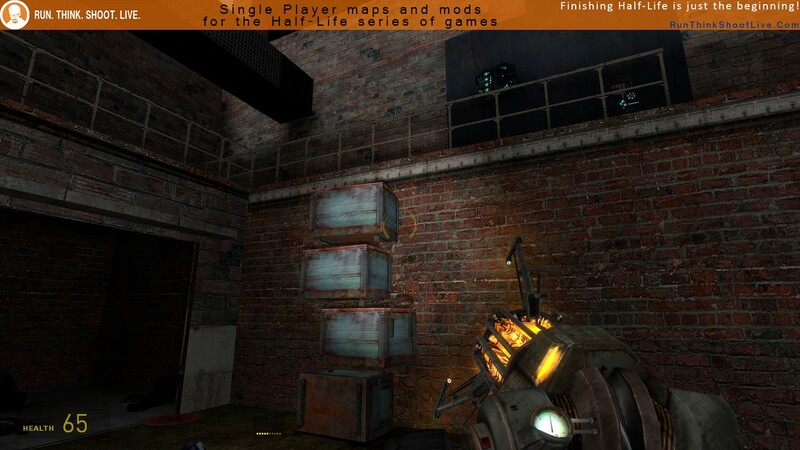 – 90% of the non-action parts of this map involved stacking stuff. Some more variety would be nice. – Some NPCs behaved weirdly. Maybe something to do with AI nodes or NPCs’ placement in the map. You’ll find out what I mean if you watch my gameplay video. 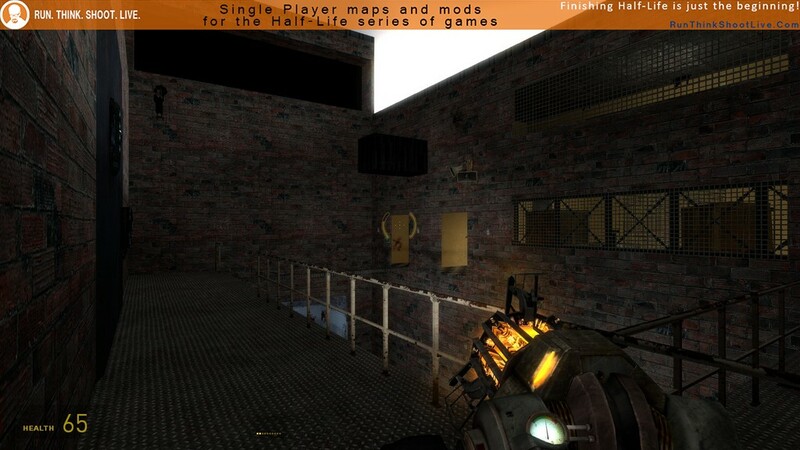 – I liked how you prevented the player from simply walking backwards in the place where burning explosive barrels are rolled towards the player. 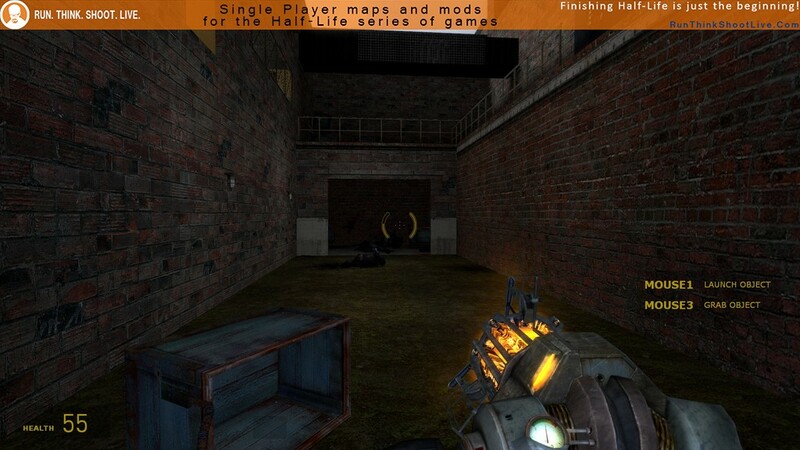 – The finale is not a very interesting place for a gunship battle and the way the combine soldiers are introduced right as the gunship dies is very unfair depending on where exactly the player happens to be at that moment. Overall I found this map fairly enjoyable and I felt that it was worth playing. For some reason mine is broken where you reach the sniper nest area. A panel sound (like, moving panel mechanics) happens and the black background drops, and then I’m in the Land of Nodraw Orange. It’s pretty neat, but I have to assume that’s an unexpected occurrence. Pretty enjoyable except for the unfinished areas. On the downside you can trap yourself in a few places if you break the boxes. The author needs to make sure the player can always move on no matter what. as with all new/novice mappers the content can only get better … bastion will take on board any criticisms and future maps/mods will be better …..
well done mate and a thoroughly deserved “play it now ” ! Great map, but I got so far then was in the land of orange, didn’t know what to do after that, but it was good up to that. Appreciate what you are saying about non breakable stacking boxes, couldn’t be bothered to go back and re-do it so simply no-clipped…I probably missed something, or a map change didn’t happen…but yeah, was good. 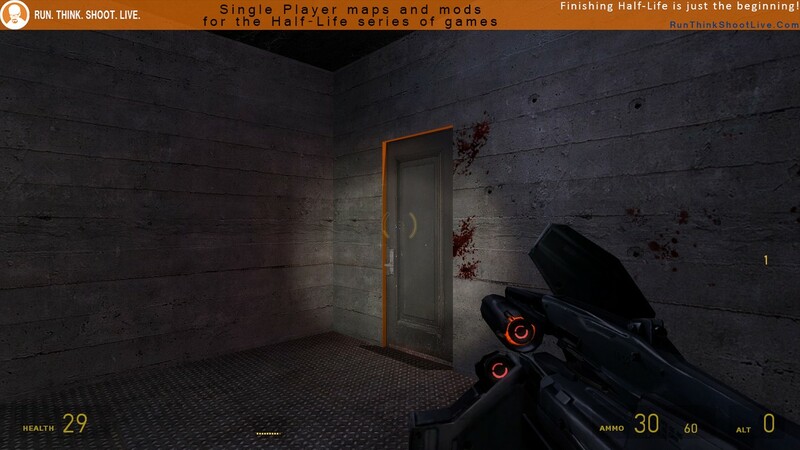 I am pretty sure that the small orange room is the end of the map. This was an excellent start to what I hope will be a lot of great maps from Bastion! While I did have some problems (exiting kind of in the wrong direction as my post above indicates) that will give me more to work with to help troubleshoot and give constructive critique. The map wasn’t large, though definitely was more sprawling than I would expect for a ‘small’ map. I liked the use of textures and interiors, though would like to have seen a bit more exterior and eventually some vistas outside entirely. I don’t think I had a problem dealing with breakable boxes, but I had read some of the comments before starting out too, and was a little more careful for that reason. 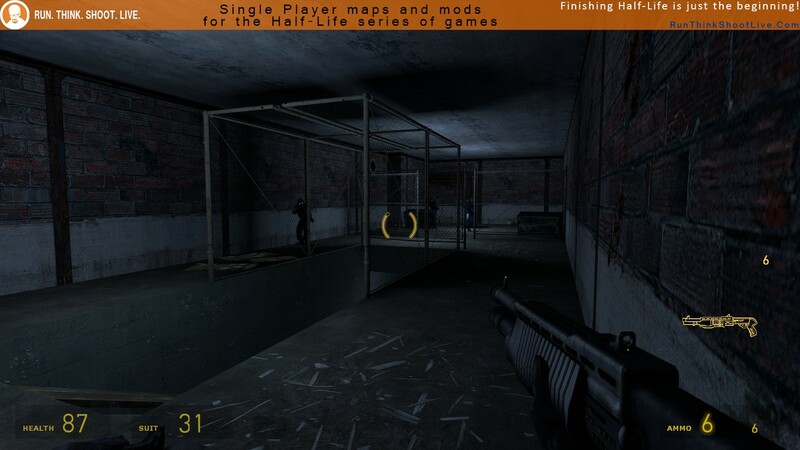 I do think it was a *good* use of most of those locations where it was tough to reach backwards – because like Valve maps: if you can’t go back, that’s because you’re on the right track forward. Perhaps a little overused in this case, but there was also some excellent backtracking and seeing-where-to-go areas too. The bit with the two turrets and grating, with some combine, that was quite good in that regard. 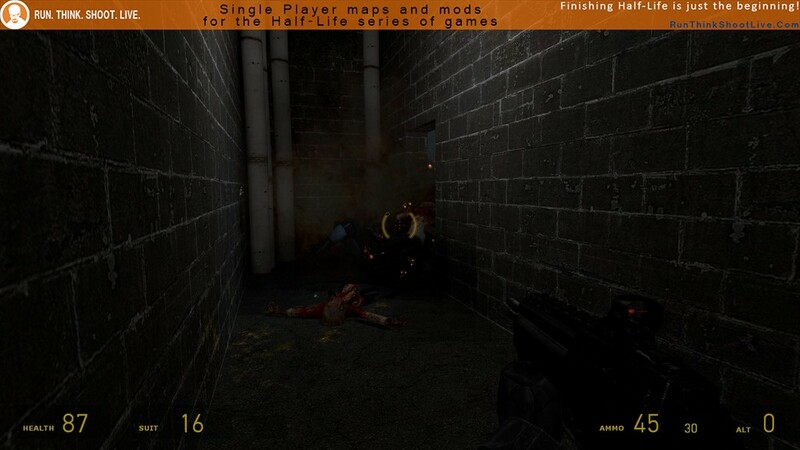 Like I said above though, I did break out of the map improperly where you’re near the sniper’s nest. The bridge you’re meant to enter by means of hitting the grating on the side, was not really apparent as something you could enter at all, even with the presence of ‘dead thing guts’ visible. I jumped on top of it in the effort to reach the other side, and found myself on the rooftop. 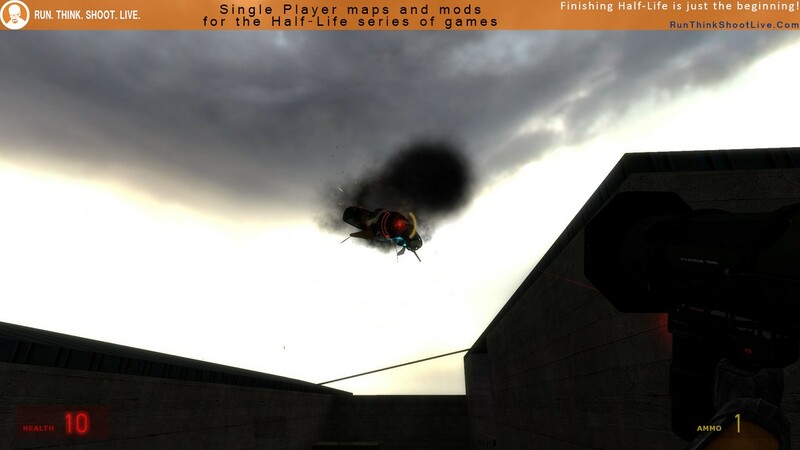 I also did that at the very end after the gunship fight, since if you’re quite careful and don’t blow up the one explosive barrel, you can jump onto that and up to the rooftops. In future maps, I would strongly suggest ways of preventing people from being able to do that, unless there’s enough exploration available and still be able to get back to where they need to be to finish the area. I’m not all for invisible walls, that said, because a visual indication of ‘don’t bother going here, it’s not important’ would be better than fighting tooth and nail to get up somewhere only to see nothing but an orange landscape if that. There were a good number of ‘yelp’ moments, when I’d get jumped by a headcrab or those burning barrels. All in all, an exceptional first map, and well worth playing. It has its moments of fun, but it’s way too heavy on the stacking puzzles to be enjoyable for me. By the time you reach a point where you have to stack not two, not three, but four things in a tower to escape, you start to wonder if you’re wasting your time. Or why the author thought this would be fun. Especially with a turret surprising you from behind as you scale your tower of junk. 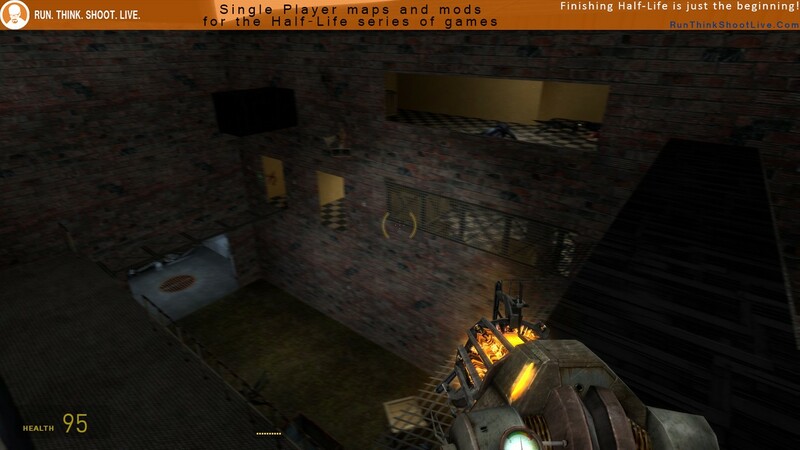 I’m also not sure why the player wasn’t given the Gravity Gun from the beginning as it probably would have made all these stacking segments a lot easier. The rest of the map was fairly inoffensive and builds to a weird showdown against a Gunship at nearly point-blank range. The level doesn’t end properly, leaving the player in dev texture purgatory. Yeah I’m a little unsure about this, I enjoyed the scene it created but it didn’t flow.. though the puzzles which were simple (I appreciated that!) but the part with the sniper and getting the grav gun didn’t make any sense to me. Pretty cool map overall though. I enjoyed it. Well, there are some pretty clever combat scenarios. A few times you approach enemies from behind which makes it a bit easy. There’s one really tough ambush with multiple shotgunners. The visuals are decent but the lighting is a bit odd at points. 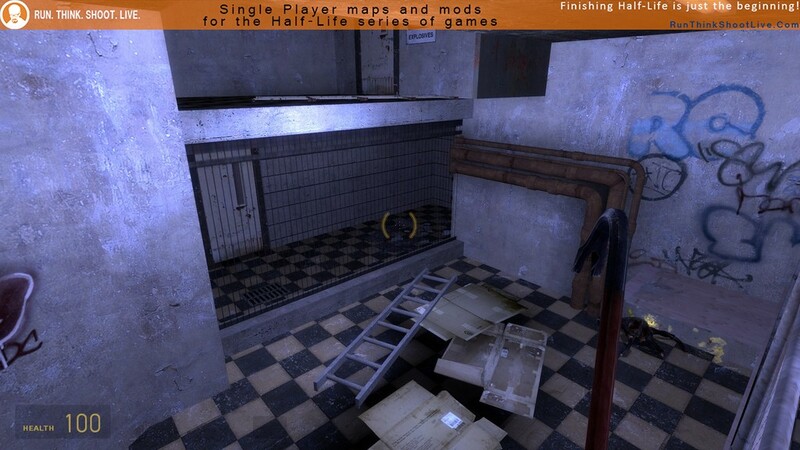 There’s one big issue with the map: the stacking puzzles. There are a lot of stacking puzzles, and the author made the mistake of making the things you stack breakable. When I see a box like that, my first instinct is to break it, and even then the enemies can easily break them as well, forcing you to noclip or load a save. There’s an area with a big shootout and a gunship, but even noclipping around I just can’t figure out how to get there. 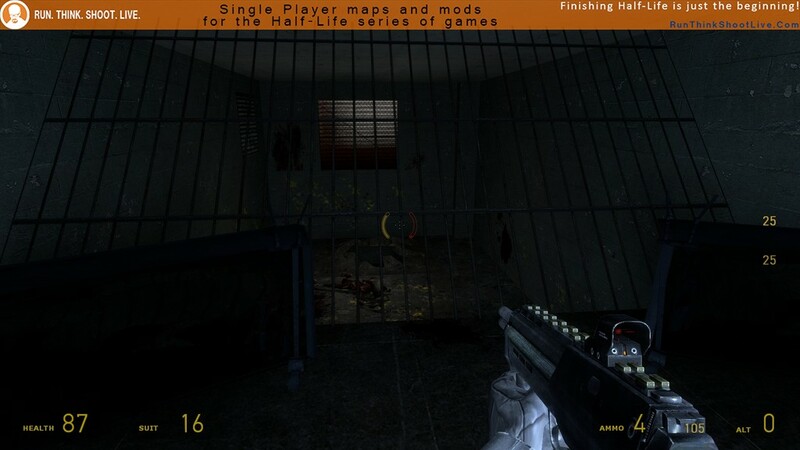 Overall, it’s good for a first map, but it has a few issues. I really don’t like to make Maybe? recommendations. Because I feel they’re too bland and just very neutral. 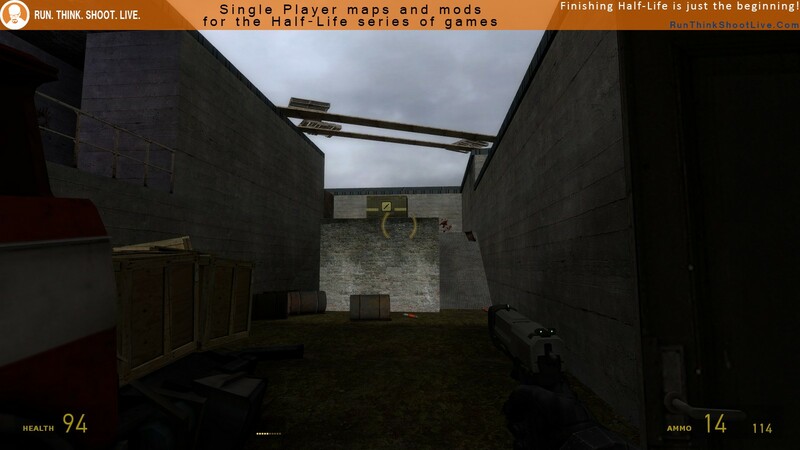 And to be honest I didn’t like my game play experience in this map, due to I had to use “noclip” cheat more than once. 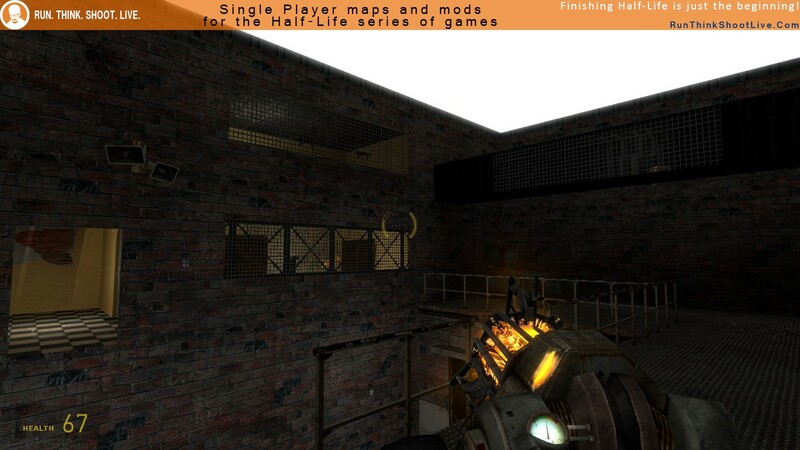 Anyway Is nice this map is from a member of this cool RTSHL community. So I consider we should support our mapping developers. I felt this map very cramped in all areas, very, very narrow areas. Combat was OK and a bit challenging but the whole concept felt unrealistic, and I mean by that, that the place didn’t felt like Nova Prospekt at all. because very little CMB textures were in there. like having a dead end map. Because make it feel unfinished. Anyway play it If you already have played everything out there. 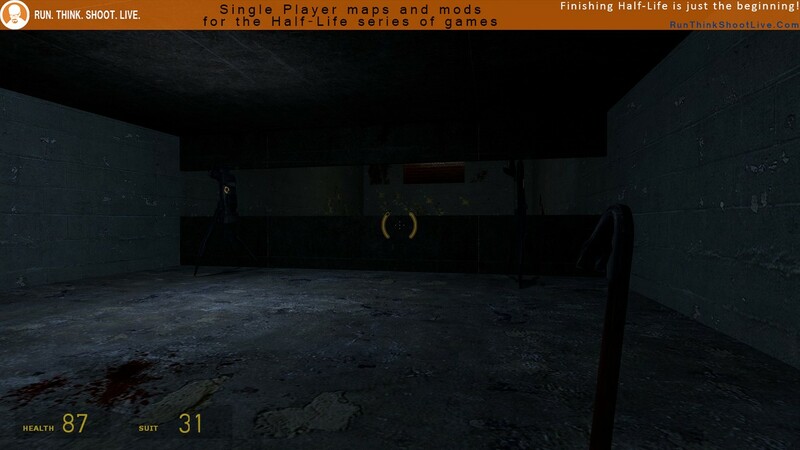 And if you want your HL2 dose. Just awful! I do not understand how you can play it. Half of the total playing time I did a mountain of boxes and tried to figure out where to go next. 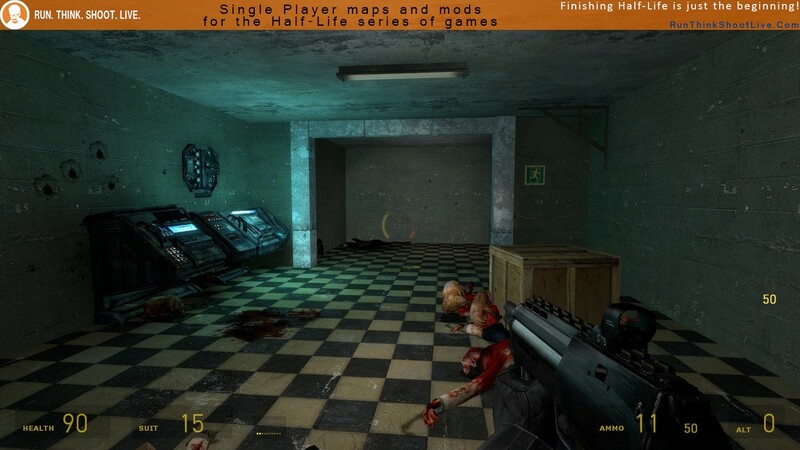 It is not energetic and boring map. Clever. I liked this map. 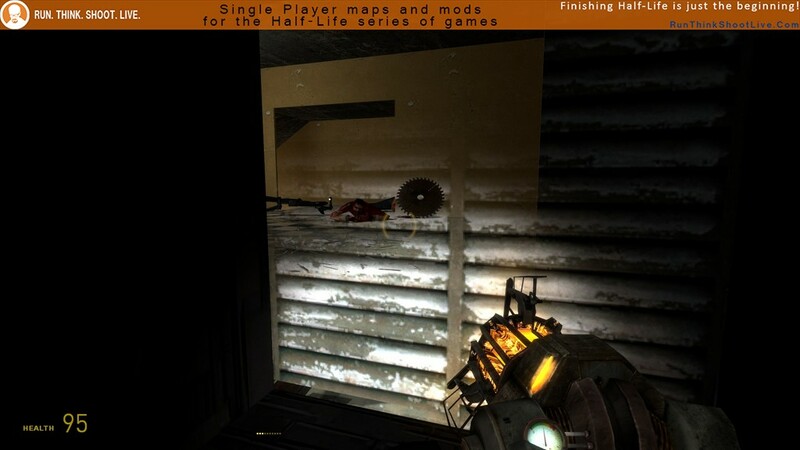 It was well thought, especially the segment where you pick up the Gravity Gun and need to stack things on top of each other to progress further, but the objects could’ve been chosen better. I know carts are common but they were awful to use. This kind of puzzle was also getting annoying by the end. Enemy placement was good but there was one moment which I thought was not thought very well on harder difficulties, meaning the point where you walk up the ramp and Combine troopers are above you, firing behind fences. If only they were made to use SMG’s it would have been infinitely better. The place doesn’t look very reminiscent of Nova Prospekt at all. 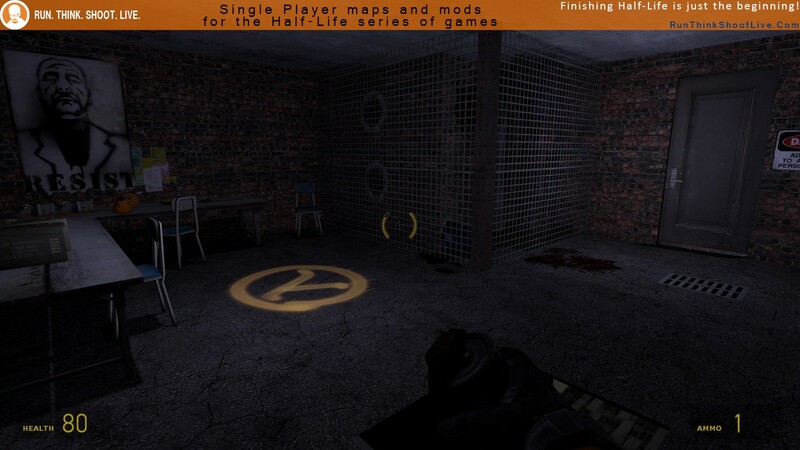 My favourite moment was when you had to use an object to enter the vent. I don’t know if there were other means to achieve this but I used the long table. Nice combination of physics there. I’m afraid I didn’t finish this map since there was no gunship fight, only got as far as entering the “headcrab vent”. One grate was transparent and you could see things from the other side so I’d presume it was a glitch. Overall, Nova Prospekt: Utility is worth trying, but do not expect anything revolutionary.